I know many of you want to create more freedom in your lives. Freedom to take time off when you need it. Freedom to work at whatever hours of the day suit you and your family’s needs. 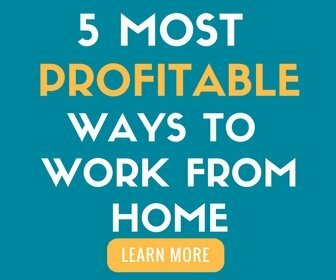 One of the best ways to create the freedom you crave is to start your own business from home! Peggy did just that when she started her transcript proofreading business and now she loves the freedom and confidence it’s given her. 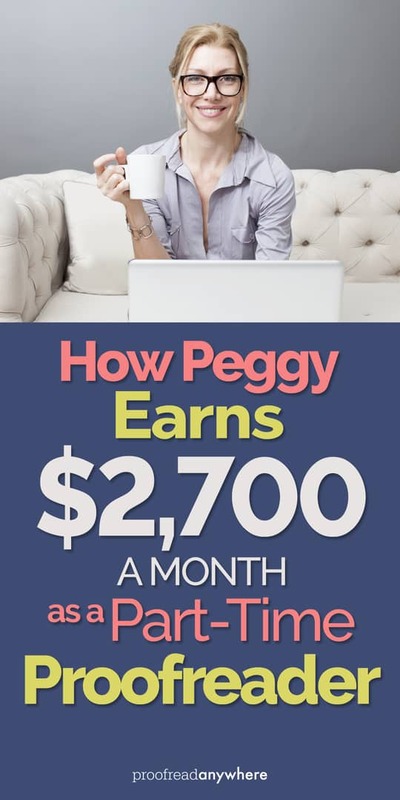 And she can earn $2,700 a month as a part-time proofreader. Not too shabby! Q: Hi, Peggy! Tell us a little about your background. 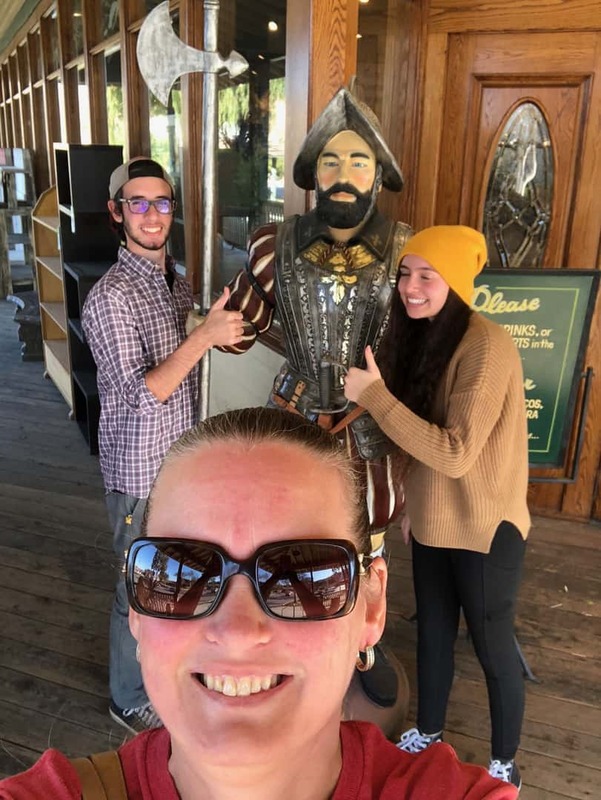 What did your life look like before you crossed paths with PA? Before I started the proofreading course, I was a stay-at-home mom of two kids. In 2013, after having shoulder surgery, I quit my secure job of seven years with the county and relocated one hundred miles away. I also had to leave my side hustle of nine years as a massage therapist. I didn’t mind the time off at first. Then I got bored hanging out on the genealogy sites. So I started job hunting again. I went to so many interviews for jobs that my head was spinning. Either I didn’t get a second interview, or I was offered the job, but they wanted me to work rotating shifts. My kids were still too young to drive, and I was their primary transportation to and from school and activities, so it didn’t happen. I just couldn’t find a job that fit my family’s needs. One day I was searching Pinterest for a work-from-home job. I found a handful of them but was afraid to commit to any of them because I refused to be scammed. So I read all of the pins, blogs, and info I found and saved them to a board on Pinterest. From 2013 to August of 2017, I continued being a chauffeur for the kids, building my family tree, and helping others build their trees. Then one day in August of 2017, I was cleaning up my Pinterest boards and ran across the pins that I saved years earlier. The one that resonated with me was the pin about proofreading from home. In a couple of my previous jobs, I taught quality control, another word for proofreading, finding errors in the computer systems that can cancel benefits or cause you to lose a construction bid. After a week, I kept coming back to it, and I finally decided to pull the trigger and purchase the Transcript Proofreading: Theory and Practice course from Proofread Anywhere. Q: When did you start proofreading, and what made you decide to learn how to proofread transcripts? My first job as a teenager from 1988 to 1996 was proofreading invoices. I also had a job with an information service company from 1996 to 2002 proofreading take-offs. Then from 2007 to 2013, I found myself working a quality control job verifying benefits between a county computer system and the state computer system. Being a single parent, I also had a side hustle doing massages on weekends. So because of my ability to side hustle and my previous experiences proofreading, it only made sense that this was a perfect path. Q: It sounds like you’ve always been proofreading in one capacity or another! What was the most challenging part of getting started? The most challenging part of getting started was self-doubt. Letting that voice in my head win and watching Netflix instead of studying. Spending too much time on social media seeing others pass their final transcript and wishing I was doing the same. However, I was the only one holding me back. Q: That’s such a common issue. It can be difficult to get out of your own way and start believing you can do it. I’m glad you overcame the self-doubt! What was the most valuable thing you learned during the course? The most valuable thing I learned in the course is that it really built up my self-confidence, and it also made me more open to change. I thrive on change now because of this course. Change has given me freedom. Q: How long did it take you to find your first client? And how many clients do you have now? I graduated in April of 2018 and received my first paying job in May of 2018. So it took me three to four weeks to land my first client. Currently, I have three regular clients and twelve additional clients that send me overflow work or work when their regular proofers are on vacation. It took me a total of four and a half months to recoup my course costs. The only reason it took me this long is that I was proofing for “Team Turtle.” Now that I have a little more experience and confidence under my belt, I am working a little bit faster at invoicing those jobs. Q: Practice really does make progress! What advice would you give anyone thinking about enrolling in the course to learn how to proofread? Is it worth the money? If you are thinking about enrolling or if you are on the fence, I suggest making a pros and cons list. What would you benefit or lose from taking the course? You will thrive if you have good communication skills, even if you are an introvert like me. As long as you stay in contact regarding deadlines, you can succeed. Second, again, meet your deadlines. Third, it would benefit you if you could grasp grammar rules. We are not expected to memorize them, but we are expected to know how to use our resources to find the answer. My opinion is that any course you take that gives you a new skill or helps you learn how to market a skill that you already have is worth every penny. The real question is are YOU worth the investment? 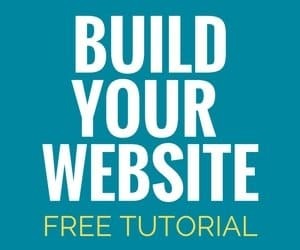 This course isn’t a get-rich-quick skill, gimmick, or scheme. All you have to do is provide quality work, and you will succeed in your own home business. Now as a freelance proofreader, I have more freedom in my day for self-care and doctors’ appointments. I don’t have to stress any longer about being out of sick days or vacation days. 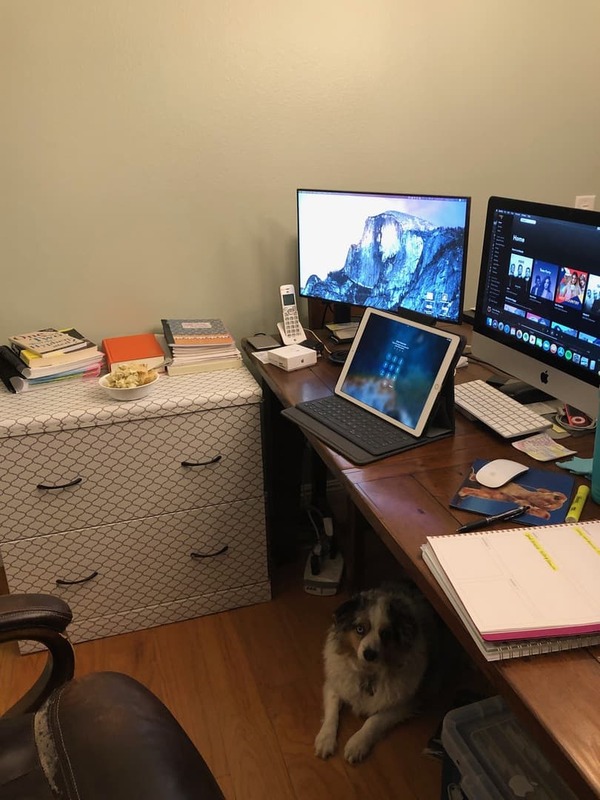 When my husband was working days, I would wake up, clean the house, and start proofreading by 10 a.m. and be done by 6 p.m. depending on the workload. Recently my husband switched to the night shift. It has done wonders for my productivity. While he is sleeping in the morning, I can proofread because I can’t clean the house or run the vacuum. Then he leaves for work at 3 p.m., and I can work as long as I want without being interrupted. I usually stop at 11 p.m. unless it is a rush. This schedule isn’t every day. As I said, I have scheduled doctors’ appointments weekly and have proofread in the waiting room of the doctor’s office. Or I can decide that I am going to do a girls’ day or meet up with my kids and spend the day with them. Complete freedom is priceless. Q: Anything else you’d like to share with the PA community? I am eternally grateful for my fellow PA grads in the PA graduate Facebook group. No matter what time of day it is, if I have a question because I can’t find it in my resource books, they have the answer. They aren’t my competition; they are my coworkers and new friends. I have been doing this since May of 2018, and so far, my biggest income month brought in $2,700 part time. All I can think of is what if I buckled down and did it full time? Right now, it is all about life balance for me, and Proofread Anywhere was the perfect answer. Thank you, Caitlin and PA Staff, for my freedom. I love that starting an at-home business as a part-time proofreader has given Peggy the freedom she craved. Having the freedom to take a vacation or sick days whenever you need to is priceless! Way to go, Peggy! 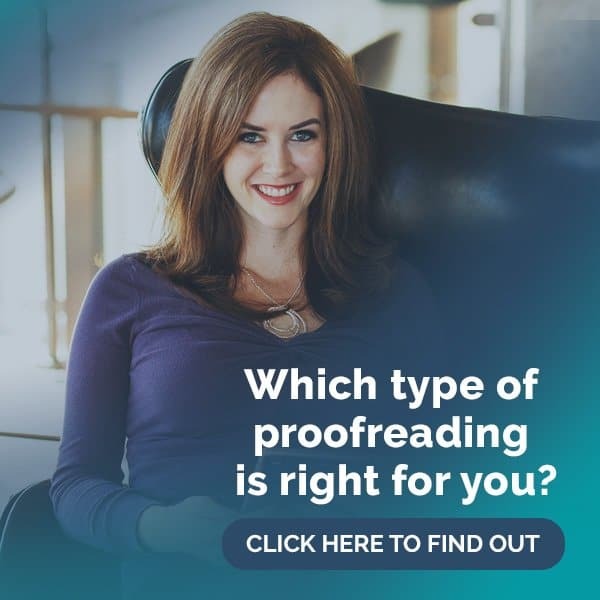 If you’re craving a life of freedom like Peggy, then check out my free 7-day intro course to see if proofreading is the right fit for you.